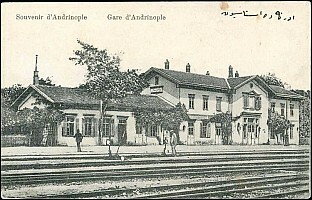 Edirne had 2 railway stations. A first one located in a suburb of Edirne called Karaagaç on the right bank of the Meriç Nehri river (also known as Maritza river). 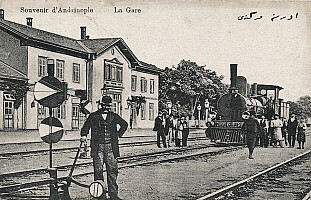 In 1873, Karaagaç was a tiny village, somewhat outside of Edirne. 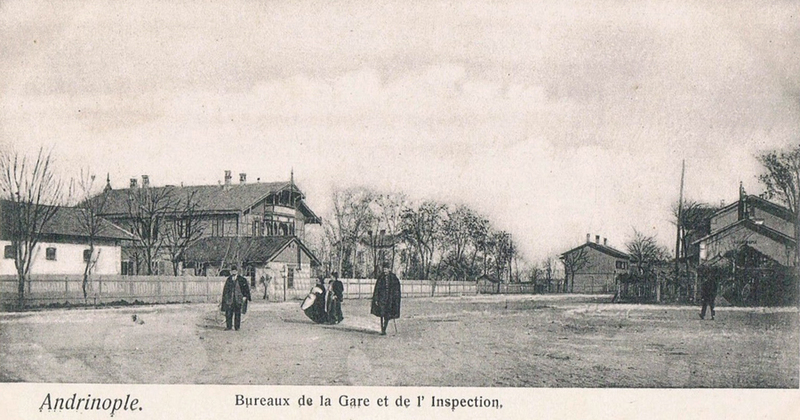 The railway stations attracted some related business like hotels and restaurants. This started an expansion and Karaagaç became a significant suburb, but remained detached from Edirne. 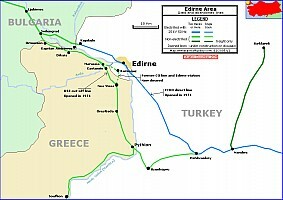 Bulgarian forces captured Edirne during the Balkan wars and controlled the city, and the station, from 26 March 1913 to 23 July 1913. 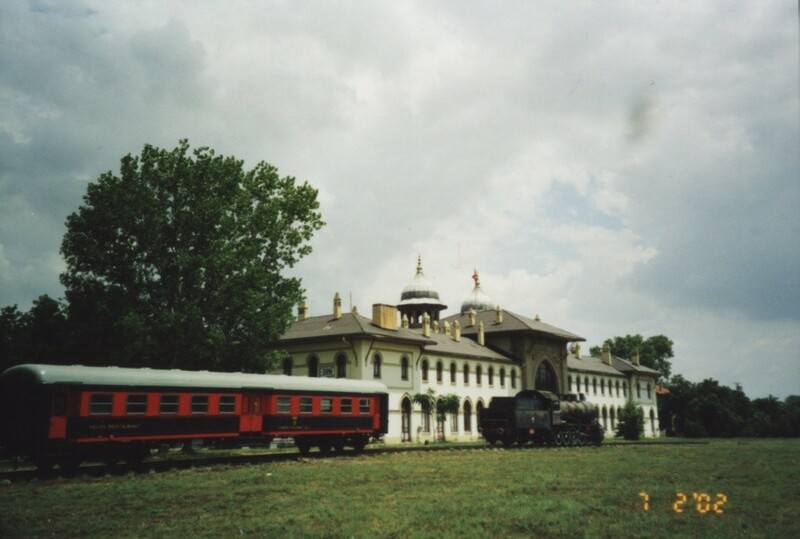 In 1971, the railway line and the railway station were relocated on the left bank of the Meriç Nehri river to allow through running to Bulgaria without crossing multiple times to Greece. The new station is located on the edge of the modern city, at some distance from the historical city center. 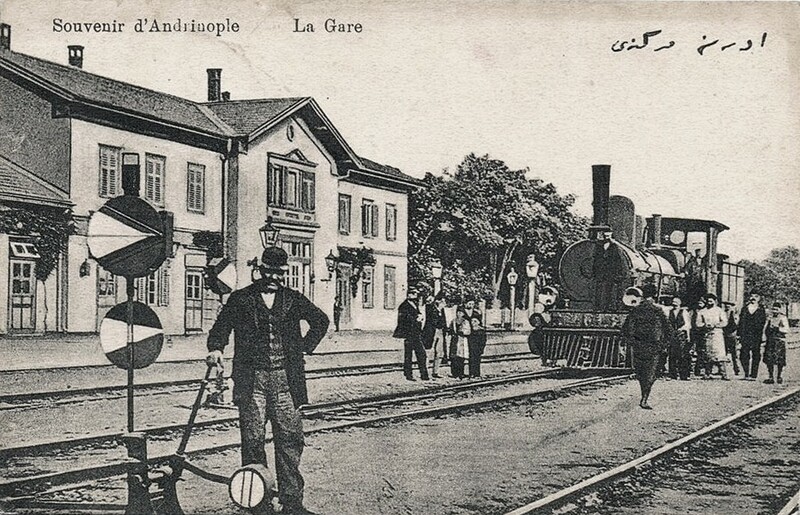 At the same time, the Greek built also a by-pass on their territory to enable through running from Alexandroupoli to Svilengrad whithout crossing over to Turkey for a few kilometers. Karaagaç fell into disuse but the the passenger building was hopefully saved. 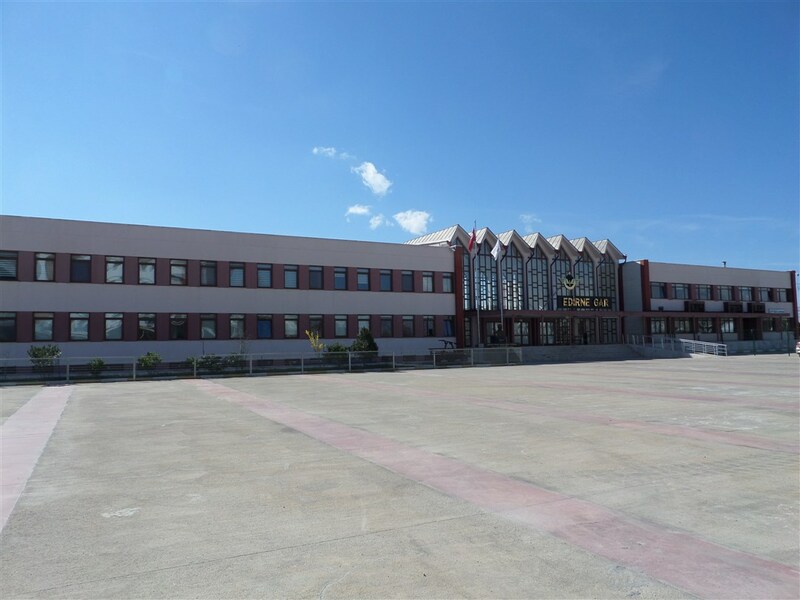 Why did the CO locate his station in Karaagaç is not known. We can speculate that this is a consequence of locating the crossing of Meriç Nehri river much further south near to Pythion. Crossing of Meriç Nehri river north of Edirne, near Svilengrad could have been done in 1873 has it was subsenquently done in 1971. 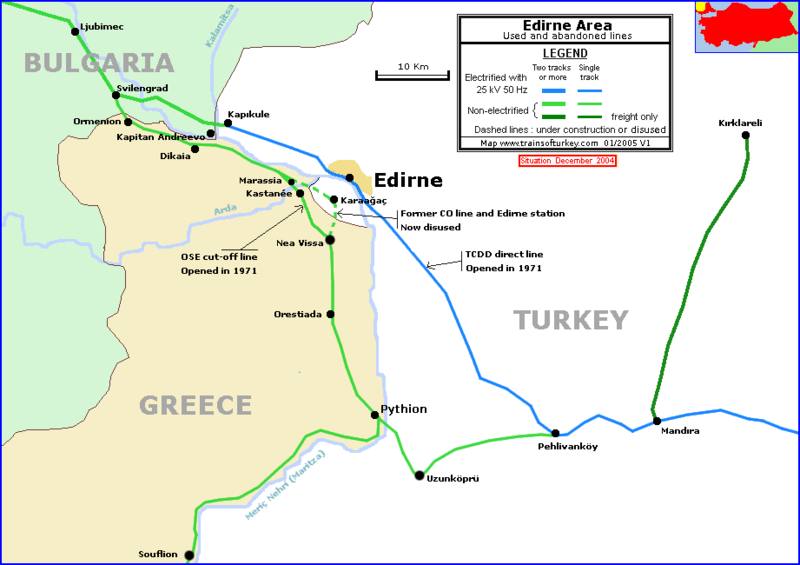 This would have resulted in placing Edirne station much closer to the city center. 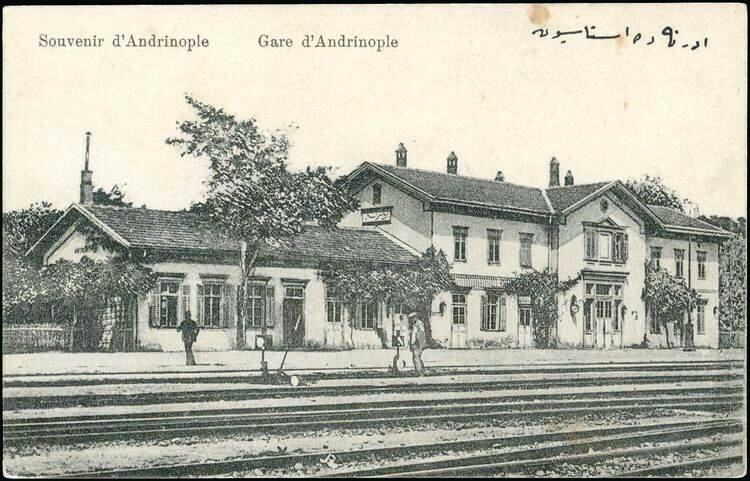 The History.CO concession specifically provided for a major station to be built in Edirne, once an Ottoman capital However, the CO built their standard building for large station, the exact same building could be seen in Plovdiv (Philippopolis) for example. Almost the same view, animated by a railway employee and a steam locomotive. 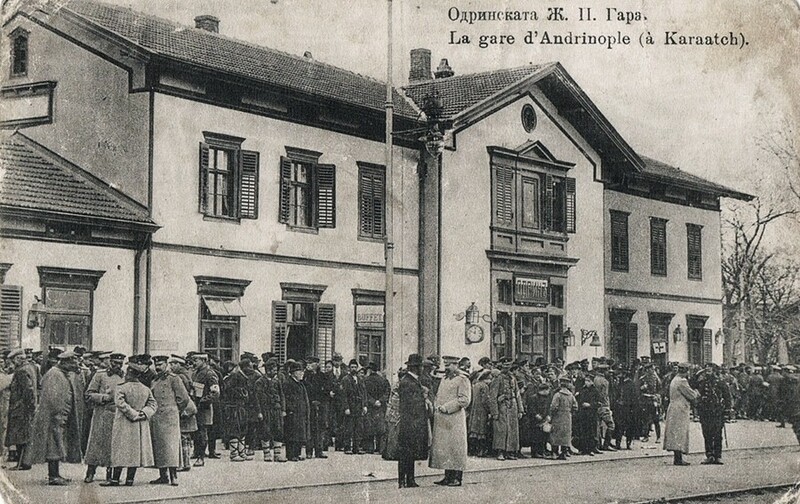 Edirne Karaagaç: a large assembly of officials & military, whose uniforms appear to be Bulgarian. The station sign, above the main door, seems to be written in Cyrillic. This sign is not there on older pictures. The picture could be taken in 1913 during when the Bulgarians controlled Edirne. A lighting pole is now present in front of the building. A street side view. 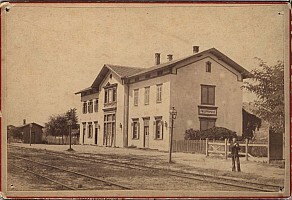 The station building is on the right of the picture. The surroundings are sparsely built. A new and larger building, similar to Sirkeci was built by the CO in 1914. 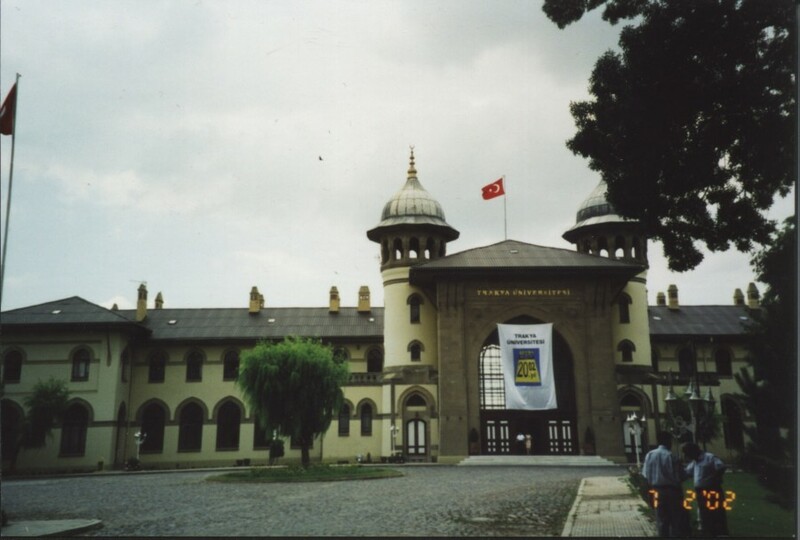 The new building was designed Ahmet Kemalettin, himself a student August Jachmund, designer of the Sirkeci Railway station. 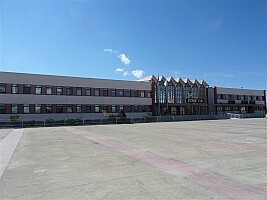 The buidling is now used as the administrative building of Trakya Universitesi. The new station passenger building is a low key concrete building. This station was built at the same time as Van? station and they share the same design.